You can filter the news by topics. On friday, 29th September, we opened our exhibition "Coat · Feather · Finn“ which is devoted to the representation of animals in painting, graphic arts and sculpture. The art historian Dr. Miriam-Esther Owesle, managing director of the Guthmann Academy, introduced the exhibition with a marvellous eulogy. With her profound words and complex insights into the life of the artists, she highlighted the beauty and importance of the shown art. Therefore we thank her very much! 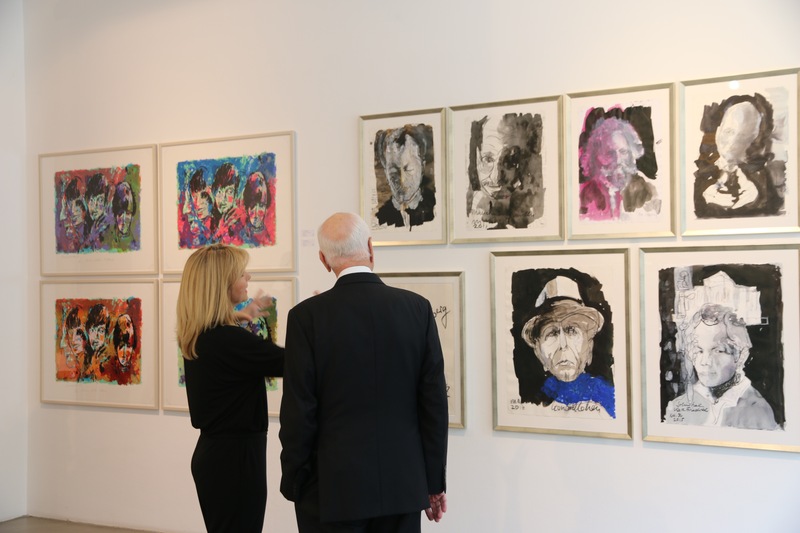 Yesterday, we opened our new exhibition with paintings from Armin Mueller-Stahl. It was an honour and pleasure for us to be able to welcome the artist and his wife in our gallery “Die Möwe” and to share this experience with approx. 500 gallery visitors. We kindly thank the art historian Stefan Skowron for his Laudation and Frank-Thomas Gaulin from the Kunsthaus Lübeck for the good collaboration. The exhibition will be open until the 23rd September. We would like to thank the artist Hanspeter Münch for his spirited remarks and insights into his art. Through the use of colour, transparency and light, his paintings strikingly convey a special energy to the viewer. The internationally renowned artist, who lives in Karlsruhe, creates this energy by applying various delicate layers of colours. We are delighted to be able to exhibit two of his most recent works, which arose from his stay in India. The traditional Saris inspired him to create a series of paintings with atmospheric colour plays. 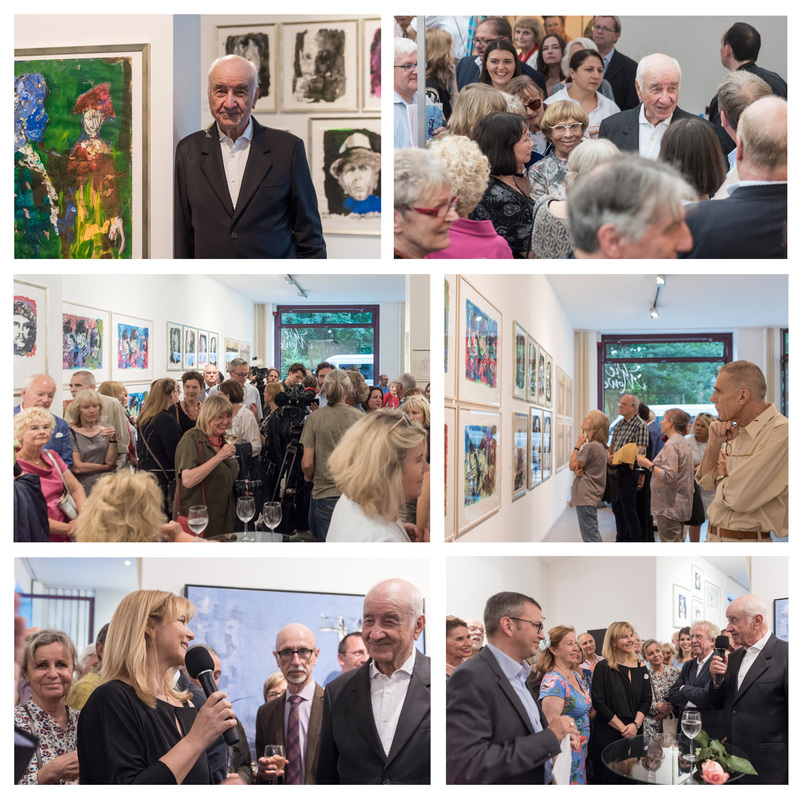 During the Gallery Weekend, we introduced our new exhibition “SommerAnsichten” on the 29th of April, which contained paintings from artists such as Marie-Luise Heller, Hanspeter Münch, Ulrich Neujahr, Werner Scholz, Siegfired Sprotte and Werner Tübke. According to the motto “Colourfulness, Light and Lifestyle” we opened with a musical performance by the “Ensemble Abhörstation”, which reflected the most beautiful months of year that have long inspired artists due to its wealth of motives. According to the motto “Union Meets Art” we and the economic board of 1. FC Union e.V. invite you to a sales exhibition with works from the German artist Frank Rödel, in the Balletage of the Stadium “An der Alten Försterei” from the 17th March to the 14th May 2017. Since the late 1980s, Frank Rödel annually explores virtually untouched Landscapes all around the world. These frequent expeditions inspire him to create impressive photos and works on paper. Viewing the blistering lava fields, archaise ice- and sand desserts and powerful ocean worlds become an extraordinary experience in the exhibition. Frank Rödel uses landscape art as a tool to express areas of his emotional world. In this way, works depicting incredibly high waves and bizzare Volcanoe landscapes in Hawaii reveal their breath-taking beauty but also their simultaneous unpredictable destructive power. This lies in contrast to his City works, which trace back to his impressions of New York and Berlin. Through the use of colour, detail and technical complexity, his collages express the multiformity and colourfulness of these megacities. 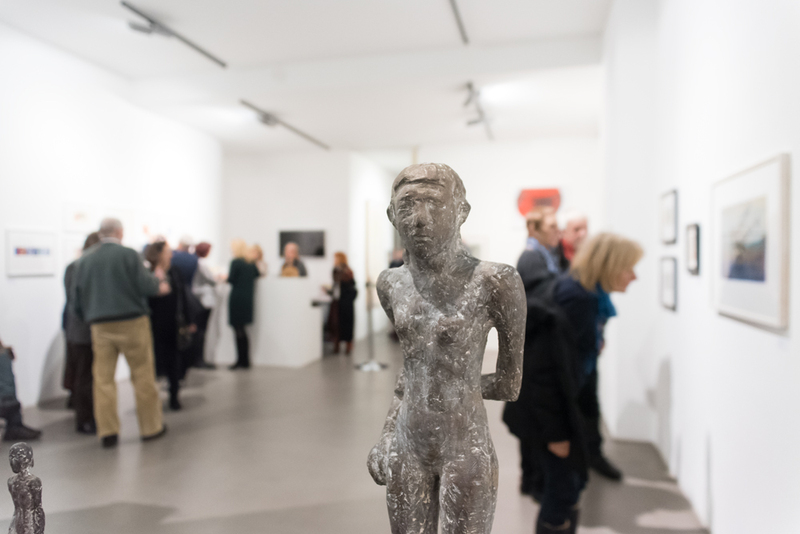 We would like to thank all visitors of our opening "From Yesterday to Today. 150 Years Verein der Berliner Künstlerinnen“. Our special thank goes to Ute von Hardenberg, chairwoman of the association Verein der Berliner Künstlerinnen e.V., who held the opening speech. In this exhibition we are presenting works by nearly 20 paintresses and sculptresses – from the late 19th century up to the present time.